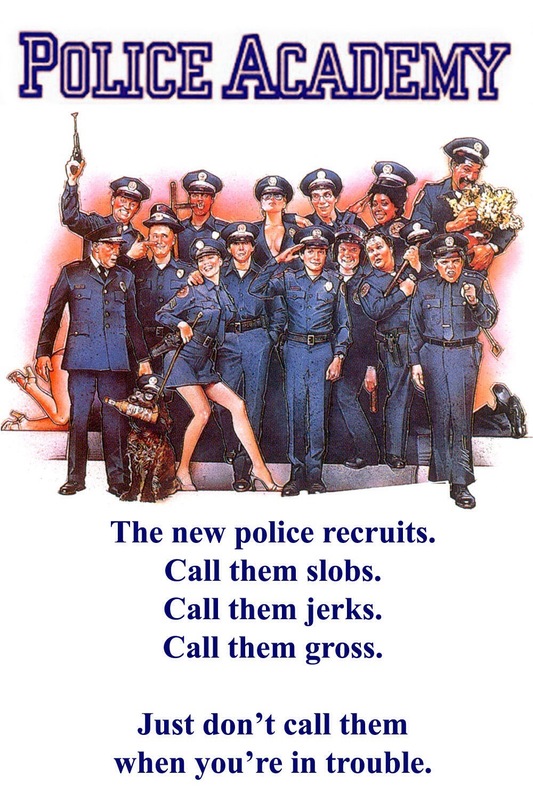 Tagline- The New Police Recruits. Call Them Slobs. Call Them Jerks. Call Them Gross. Just Don’t Call Them When You’re in Trouble. Released in 1984 Police Academy became a huge success for Warner Brothers and spawned 6 sequels with 5 of those coming from 1985-1989 and there was also an animated series in 1988, there were comic books and than finally a TV series from 1996-1997. As much as I loved Police Academy I’m not sure why it became so hugely successful and I guess it was just the right time. The original film is also the only one to carry an R-rating as the sequel was PG-13 and the rest PG. The original film in my opinion was the best, but it has little to do with the rating as these kind of films can work under an R. This might sound like an odd comparison, but in many ways I feel the Police Academy series are the comedic versions of Friday the 13th. Both had a never ending run of sequels and in most cases released the following year and both were quite light on plot for the most part. Even Friday the 13th had a TV series back in 1987 however it had no connection to the films and the title was used for marketing. When the mayor has dropped certain requirements to join the police force a group of misfits enroll into the academy. Unhappy with the new recruits Lt. Harris (Bailey) does his best to drive them out. The screenplay by Neal Israel, Pat Proft & Hugh Wilson is actually quite funny and filled with terrific characters and the script has a lot of characters, but to the credit of the writers they actually do a good job at getting all of them involved to some degree. With so many characters I don’t think it’s possible for all to have depth, but each has at least one or two character moments. Carey Mahoney (Guttenberg) and Lt. Harris are the most developed, but again with so many characters the writers make it work. This is one of the few films in the series with a little plot and while simple it’s effective. Director Hugh Wilson crafts a fun film that’s funny from start to finish. Wilson kind of toes the line of straight up comedy as well as slapstick and while most of the comedic scenes are slapstick it never gets as over the top as the sequels. I enjoy the sequels though at times they can be a bit absurd, but even in the more over the top scenes here such as the scene with Harris and the horse, Wilson doesn’t make it too silly. While I don’t think this is one of the comedic greats, Hugh Wilson does deliver a truly terrific and funny film that’s well paced and is just simply a fun ride. 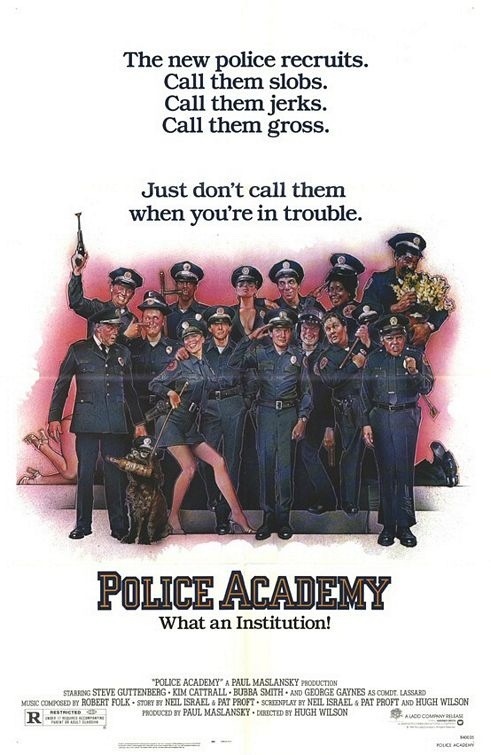 Overall Police Academy is a terrific comedy that’s funny from start to finish and while I did enjoy most of the sequels more or less it is quite easy to forget how excellent the original film was.